I just came across this extremely helpful series of videos on YouTube for all of you who are interested in learning to read Sanskrit! You may be wondering, "Um, Tara... why would I do that? Isn't Sanskrit a difficult language? Who has time for that? Can't I just stick with translations?" If you would like to experience the full benefits of yoga I encourage you to make a little effort in this matter. It's not as difficult or as time consuming as you think to learn the sounds and read simple words and mantras. Translations inevitably reflect the bias of the translator. Yoga encourages us to use our intellects to study, and also to verify and integrate those learnings through our own experience. Therefore, I think it is well worth the effort to compare translations and better yet, form your own interpretations of foundational texts based on knowledge of the original language, the wise counsel of your most trusted teachers and your own reflection and life. 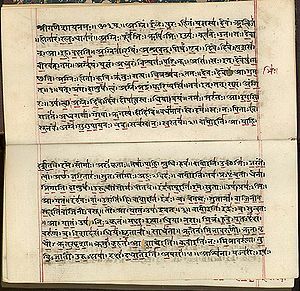 The sounds of Sanskrit, which is described as a "perfect" language, have a resonance which may be diluted when mispronounced or when heard only in translation. Even if you have no intention of becoming a Sanskrit scholar, you can benefit from the "good vibrations" of the sounds and the energies they invoke. Just in case you're still dubious about your ability to grasp this, check out these British schoolchildren reading, writing and chanting in Sanskrit! What do the Yogis Say About Success? Swami Kashi is Opening an Ashram!